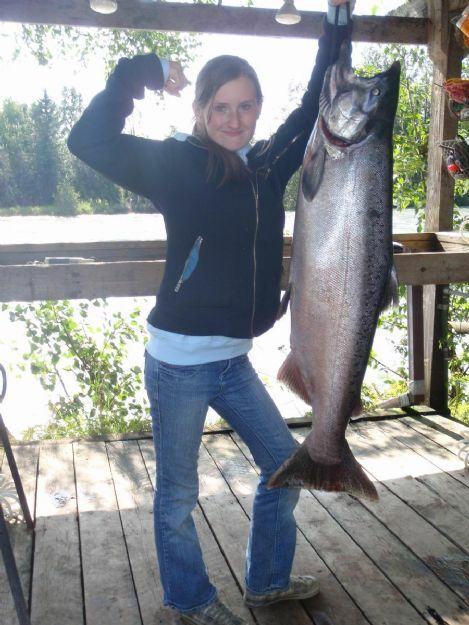 The Kenai River is like No Place on Earth!! 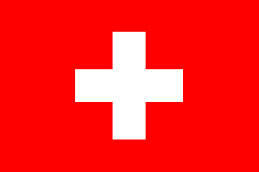 This is the life, and we know it, and from May to October each year our guests join us in enjoying this good life. You can join us too! 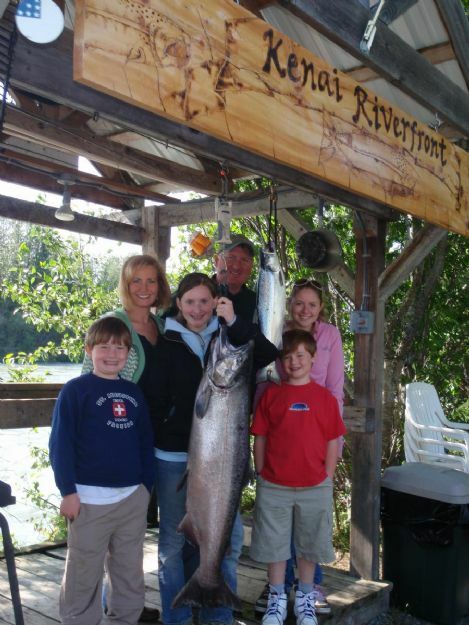 Kenai Riverfront Resort's #1 feature is our private access to some of the finest bank fishing on the Kenai River including FOUR Species of Salmon: King (Chinook), Sockeye (Red) Salmon, Coho (Silver) Salmon, Pink Salmon, as well as Rainbow Trout and Dolly Varden. 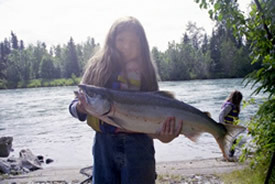 This is some of the best fishing found anywhere on the Kenai River, or for that matter anywhere in the world! 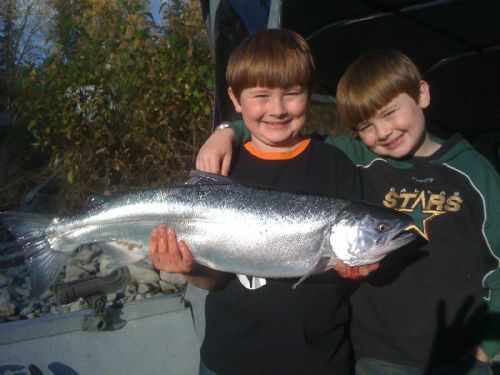 Our guests are spoiled on good fishing. 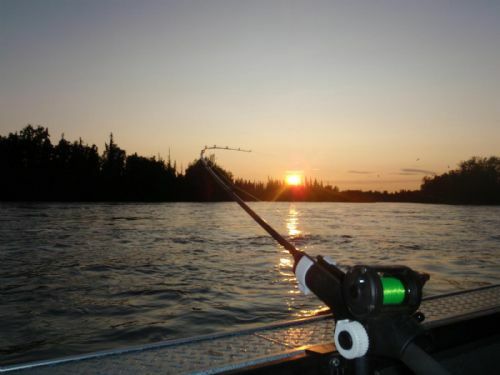 With endless daylight in the summer, the fishing days are long and packed with action. 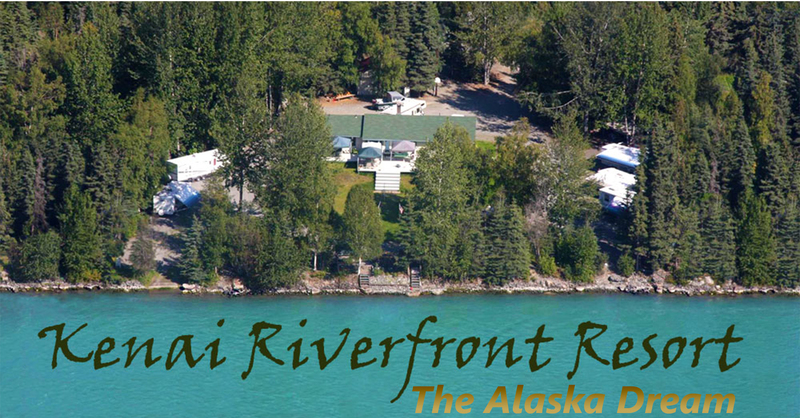 Imagine over a Million Red Salmon swimming in your front yard every summer--that's Kenai Riverfront Resort. 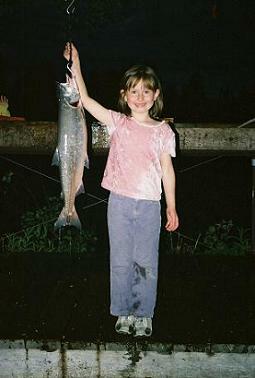 Imagine hooking a big Silver Salmon on fresh cured salmon roe...or a trophy Rainbow Trout on a fly pole--that's Kenai Riverfront Resort! It's like having your own private fishing bank, shared exclusively by our guests. A fish cleaning table with running water and lights right on the shore makes easy work of cleaning your catch, day & night, and professional packing and shipping is available locally too. 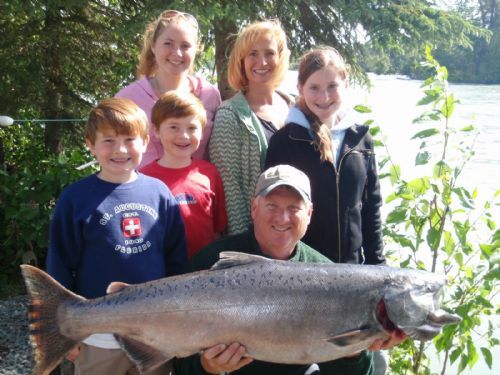 We'll help you clean, pack & smoke your fish if you want to learn how to do it yourself and supplies can easily be purchased locally so you can take home the highest quality Alaska salmon that will feed your family all winter long (like we do!). One bite of our custom smoked salmon and you'll never buy it again, you'll smoke your own with confidence after you learn how easy it can be. Relax by the campfire on our riverfront, and cook up some fresh caught salmon on the hot coals and you'll taste the freshest salmon you'll ever eat. It's not uncommon for us to have fillets grilling off one side of a salmon before the other is even finished. Check out some of our Free Alaska Recipes in our Alaska Cooking Blog while you're here and be sure to send us your feedback when you try them at home! 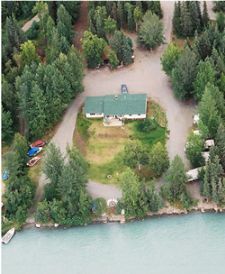 You'll enjoy the peace and quiet of an uncrowded river bank, with a nice rock shore and native Alaskan trees, flowers, and plants, creating a relaxing camp far from the "combat" fishing environment so often thought of by visitors to the Kenai Peninsula. 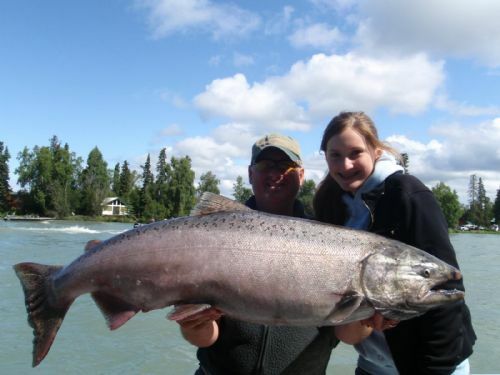 The Kenai River is famous of course for King Salmon, and we'll gladly book you on a fishing charter with some of the friendliest, most professional local guides. 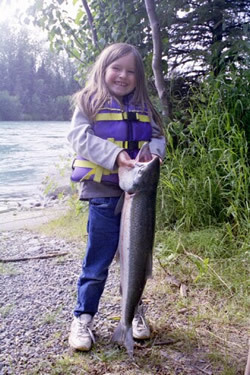 But you can also fish on your own right at Kenai Riverfront Resort for Silver Salmon, Red Salmon, Pink salmon, Rainbow Trout and Dolly Varden with excellent fishing from May well into October. We're ready for you, are you ready to fish?! See YOU on the Riverfront!